What kind of shopping basket should I choose for my store? 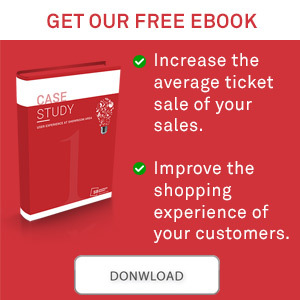 Choose the perfect Shopping Basket and Cart for your store is an important decision that could affect the average ticket size and general income. Shopping Basket offers a wide range of plastic baskets and carts for all kinds of stores. In this post we present a guide to choose the model and capacity that best fits your needs. The recommended capacity is between 54L and 90L. This explains that our bestsellers for this kind of stores are the horizontal rolling basket Barcelona (54L) and the vertical rolling basket Bond (70L) and SuperBond (91L). Due to the fact that they are medium-sized baskets but designed to hold a great capacity. The purchaser may buy a great number of products without feeling that he/she is spending more than expected. The Snupy cart (60L) is also ideal for supermarkets, which allows separating the items and is highly maneuverable in narrow or transited aisles. Supercenters, sports stores, toy stores, garden centers, and DIY stores. We recommend great-capacity baskets with wheels, such as the XXL (80L), Bond (70L), Superbond (91L) or Barcelona (54L). Thanks to their flat and wide surface, bulky products can be easily placed in the basket. Furthermore, the wheels contain a double-ball bearing, which reduces the weight of the load. The Snupy cart (60L) could also be an option for this kind of stores. Snupy allows the separation of items and it even allows detaching one of the baskets to place products that require wider space. As they offer small-sized products, it will be sufficient with a 12L or 20L basket. Shopping Basket has designed, especially for this kind of stores, the Delux basket (12L). Delux gives the store an elegant touch thanks to its oval shape and aluminum handles. Moreover, its flat and sealed surface allows holding the smallest items. As the client won't need buying a great number of items, and due to the type of the store, we recommend 20L to 32L hand or rolling baskets. Our hand baskets not only vary in size, but their design is also different. Airport for traditional stores, Great for modern stores, and Market or Kanguro for alternative stores or greengrocers.